The refineries in the US processed 230,293 barrels of Amazon crude oil a day in 2015, according to the study conducted by the Amazon Watch, an environmental group. The demand for crude oil in the US is forcing countries such as Peru, Colombia and Ecuador to expand their oil drilling operations and hence, driving the destruction of the rainforest ecosystem. The Amazon rainforest has already become highly vulnerable to forest fires due to selective logging, hunting, altering or fragmenting the landscape and other forms of habitat degradation. As oil interests lead to aggressive extraction of oil, there are fears that indigenous communities will suffer displacement and acquire deadly illnesses due to lack of acquired immunity. Mining and construction of hydroelectric dams, in what is considered the lungs of the world, have already triggered deforestation. The problem is getting even more confounded when ambitions of large oil firms, including some from China, have come to play its part. According to the study, the proposed oil and gas fields now cover 283,172 sq miles of the Amazon. Explaining the “triple carbon impact” of Amazonian oil extraction, the report says that copious amounts of carbon is emitted when the rainforest is cut down to establish drill sites. Further destruction of the world’s largest carbon sink takes place when necessary roads and other infrastructure are constructed. More carbon emissions are experienced when the oil is ultimately burned for energy. Ecuador’s state-run oil firm PetroAmazonas has started drilling close to the Yasuni National Park—one of the most biologically rich places in the world. It is home to 655 endemic tree species—more than the US and Canada combined—and two of the last tribes in the world. While extraction of 23,000 barrels of oil a day began in September, critics raise concern over a possibility of oil destroying Yasuní the way it caused widespread deforestation and pollution in rest of Ecuador and the western Amazon. Apart from the risk of water and soil contamination, the construction of roads deep into the forest would lead to hunting and deforestation. 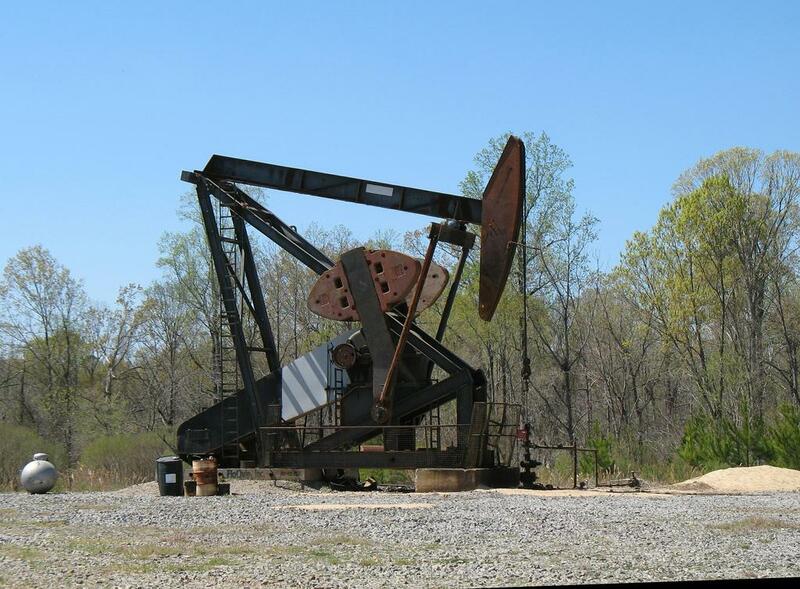 The environmentalists also fear an inevitable conflict between oil workers and the semi-nomadic tribes of Waorani Indians living within the park for generations. The viability of oil production in Peruvian Amazon has been questioned time and again. In the past two months, the protest by Peruvian Amazonian indigenous communities against oil pollution on their lands has grown stronger. Till October, nine cases of pipeline spill have been reported. The indigenous communities, who witnessed the latest pipeline spill on October 23, are now demanding a national debate on whether oil drilling should continue in the Peruvian Amazon that plays a crucial role in regulating global climate and hydrological patterns. The protesters want a state of emergency to be declared in two districts of the lower Marañón Valley where five indigenous communities have been affected by a series of oil spills. While there has been an overall decline in US crude imports, the imports from the Amazon are on the rise. The US is now importing more crude oil from the Amazon than from any single foreign country. 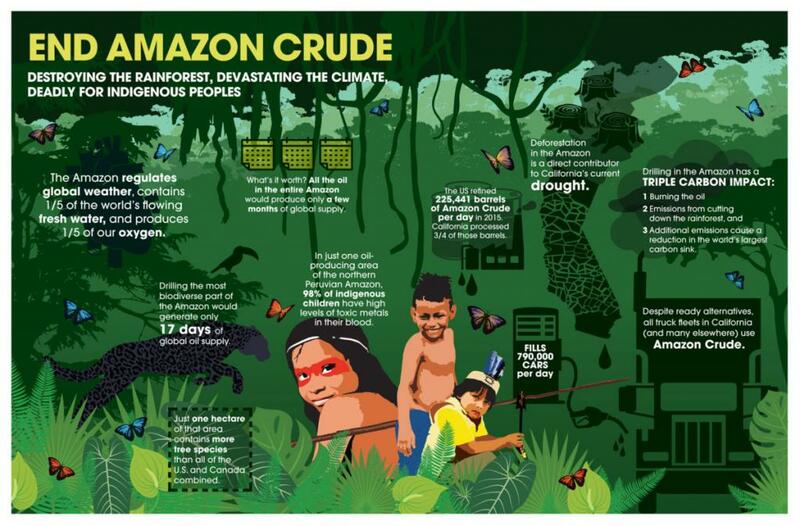 “Our demand for Amazon crude is driving the expansion of the Amazon oil frontier and is putting millions of acres of indigenous territory and pristine rainforest on the chopping block,” said Leila Salazar-López, executive director of Amazon Watch. According to Adam Zuckerman, Amazon Watch's End Amazon Crude campaign manager, "All commercial and public fleets in California—and many across the US—that buy bulk diesel are using fuel that is at least partially derived from Amazon crude." The report also revealed that California refines an average of 170,978 barrels of Amazon crude a day with the Chevron facility in El Segundo refining 24 per cent of the US alone. After crude is refined, it is distributed as diesel to vehicle fleets across the US.